From 2005 to 2009, suicide attempts in which drugs played some role rose from 11,235 to 16,757 among women ages 50 and up, a federal survey found. The increase, driven in part by the last of the Baby Boomers entering their sixth decade, provides a new example of the toll wrought by the nation’s prescription painkiller epidemic. In 2009, 16 million Americans age 12 and up had taken a prescription pain reliever, tranquilizer, stimulant or sedative for non-medical reasons in the previous year, according to the National Survey on Drug Use and Health. The trends involving women and suicide appeared in a Drug Abuse Warning Network (DAWN) report dated May 12, 2011, but released Thursday to coincide with a meeting of the public-private Action Alliance for Suicide Prevention. The report, prepared by the Substance Abuse and Mental Health Services Administration, wasn’t limited to suicide attempts involving deliberate overdoses; its authors counted any suicide attempt in which drugs were involved, such as a woman slashing her wrists while smoking marijuana. ER visits for suicide attempts associated with women taking drugs intended to counter anxiety and insomnia rose 56 percent, from 32,426 to 50,548. Hospital visits for attempted suicides involving a class of anxiety drugs known as benzodiazepines rose 67 percent. Those involving alprazolam (Xanax) went up 74 percent. Hospital visits for suicide attempts in which the insomnia drug zolpidem (Ambien) played a role rose 158 percent, from 2,177 visits to 8,190 visits, for all women, but only were statistically significant among women 35 to 49. ER visits for women’s suicide attempts associated with pain relievers grew more than 30 percent, from 36,563 to 47,838. Suicide attempts involving narcotic pain relievers remained relatively stable overall, but climbed 67 percent among women who took hydrocodone (Vicodin), from 4,613 to 7,715. They soared 210 percent for suicide attempts involving oxycodone (Oxycontin), from 1,895 to 5,875. A closer analysis found statistically significant increases in ER visits for attempted suicide involving oxycodone for women 21 to 34, and attempted suicide involving hydrocodone for women 35 to 49. Those age ranges span the years during which women typically marry, have children, build careers and reach menopause, all of which can contribute to stress. Adult addiction specialist Dr. Elizabeth F. Howell, a past president of theAmerican Society of Addiction Medicine and associate professor of clinical psychiatry at the University of Utah School of Medicine in Salt Lake City, said the report findings reflected higher overall rates of prescription abuse and addiction. They weren’t surprising, she said, because as doctors spend less time with their patients, they rely more on pharmaceutical treatments for physical and psychological problems. As a result, “many more primary care professionals are put in the position of prescribing for anxiety and depression,” even when their patients have health insurance and the means to see a specialist. Patients initially prescribed powerful pain medications for sports injuries or after surgery may discover those drugs help them relax or sleep better and begin “self-medicating their psychiatric symptoms and not just the physical pain,” Howell said. Howell said she suspects that women in their 50s, who tend to suffer aged-related aches and pains and have problems stemming from hormonal changes, are complaining to their doctors about “things that may not sound totally like depression or anxiety.” She said they leave with prescriptions for anti-anxiety drugs, painkillers or sleeping pills, when they might benefit more from therapy, antidepressants or in some cases, hormonal therapy. Although statistics show men more likely to kill themselves than women, women are more frequently treated for attempted suicide, according to 2011 figures compiled by the National Center for Injury Prevention and Control at the Centers for Disease Control and Prevention. In 2009, there were more than 215,000 ER visits by women trying to hurt themselves and women accounted for 3 out of 5 ER visits for drug-related suicide attempts. 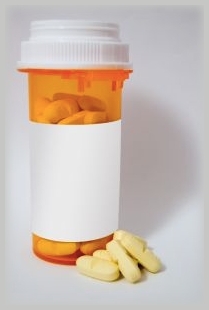 According to the CDC, US emergency department visits involving nonmedical use of opioid analgesics and benzodiazepines more than doubled from 2004 to 2008, and most unintentional poisonings in the US are due to drugs, both prescribed and illegal. This week, the White House released their Prescription Drug Abuse Prevention Plan, targeting four areas of needed improvement: education, monitoring, proper medication disposal, and enforcing elimination of improper prescribing and drug-seeking behavior. The FDA also took initiative with a Risk Evaluation and Mitigation Strategy (REMS) targeting doctors and patients. Truly the reoccurring theme with this epidemic is education with the doctors and patients. So get educated about any prescription written for you or a loved one. Click here for the full article from the San Francisco Chronicle. Stimulants: Stimulants are prescribed to increase alertness, attention and energy in patients with attention-deficit hyperactivity disorder (ADHD), narcolepsy and, occasionally, depression. Stimulants increase blood pressure, heart rate and respiration. Prescription stimulants, such as dextroamphetamine (Dexedrine and Adderall) and methylphenidate (Ritalin and Concerta) work by stimulating the norepinephrine and dopamine chemicals in the brain and increasing dopamine activity. Stimulants often improve mood, relieve anxiety and may induce a sense of euphoria, which makes them highly addictive. Stimulants are commonly abused for recreational purposes and performance enhancement to achieve weight loss and increase energy. To achieve a greater high, stimulant abusers often crush up the pills and snort or inject them. Stimulant abuse can cause serious health consequences, such as rapid or irregular heartbeat, heart failure, delirium and digestive problems. Opioids: Opioids are commonly prescribed to treat pain because of their strong analgesic effects, but these powerful drugs can be highly addictive when abused. Opioids include a wide variety of prescription narcotics, including morphine (Kadian, Avinza), codeine, oxycodone (OxyContin, Percodan, Percocet) and other related painkillers. Morphine is typically used before and after surgeries to alleviate severe pain, whereas codeine is prescribed for mild pain and may be used to relieve coughs and diarrhea. Opioids work by attaching to opioid receptors in the brain, spinal cord and gastrointestinal tract and block the perception of pain. They can cause drowsiness, nausea and constipation, in addition to producing a sense of euphoria by stimulating the pleasure regions of the brain. It’s this euphoric feeling that makes opioids the most popular type of prescription drug to abuse. Many abusers will crush up opioids, such as OxyContin, and then snort or inject them to enhance their high, which consequently, increases their chances of an opioid overdose. Barbiturates: Barbiturates are within the family of central nervous system (CNS) depressants, which are prescribed to treat anxiety, tension, epilepsy and sleep disorders and sometimes used as preanesthetics to promote sleep before surgery. CNS depressants are commonly referred to as sedatives and tranquilizers because they slow normal brain function by enhancing the activity of the neurotransmitter gammaaminobutyric acid (GABA). The most common barbiturates prescribed are mephobarbital (Mebaral) and pentobarbital sodium (Nembutal). Barbiturates are commonly abused to counteract the symptoms of other drugs, both prescription and illegal drugs. Abusers may combine barbiturates with medications that cause drowsiness, such as prescription pills, over-the-counter cold and allergy medications and alcohol to achieve a greater high, but doing so increases the risk for slowed heart rate and respiration that could be fatal. Benzodiazepines: Benzodiazepines are also within the CNS depressants family. These sedatives are prescribed to treat anxiety, acute stress reactions, panic attacks, convulsions and sleep disorders. Common benzodiazepines, such as diazepam (Valium), alprazolam (Xanax), chlordiazepoxide HCl (Librium) and estazolam (ProSom), are generally prescribed for short-term relief to prevent abuse and dependence issues. Like barbiturates, benzodiazepines also affect the neurotransmitter gammaaminobutyric acid (GABA) to decrease brain activity and produce a drowsy or calming effect in anxious or restless people. People commonly abuse benzodiazepines to counteract the effects of other drugs. The drowsy, calming feeling of benzodiazepines is often enhanced when abusers take them with other prescription pills, OTC cold and allergy medications, and alcohol, which can lead to a slower heart rate and respiration and result in death. Also, discontinued use of CNS depressants in large doses can lead to dangerous withdrawal symptoms such as seizures. Sleep Medications: Prescription sleeping pills fall into the family of CNS depressants and are used to treat insomnia, when people have trouble falling asleep, staying asleep, or both. The most commonly prescribed sleeping pills to treat sleep disorders are zolpidem (Ambien), zaleplon (Sonata) and eszopiclone (Lunesta). Although these medications have similar side effects as the benzodiazepines, they are called nonbenzodiazepines because they are structurally different on a chemical level. Even though they appear to have a lower risk for addiction and doctors usually prescribe them for two weeks or less, they are frequently abused and can be highly addictive. People often become reliant on sleeping medications because they cannot fall asleep or stay asleep without them. Abusers may also become addicted to the drowsy and calming feeling caused by these sedatives. Anabolic Steroids: Anabolic steroids are used to increase muscle and bone mass. Anabolic steroids are legally prescribed by doctors to treat males who produce abnormally low amounts of testosterone so that they do not experience delayed puberty, osteoporosis and impotence. This muscle-building kind of steroid is also used to treat patients with AIDS and other diseases to prevent the loss of lean muscle mass. Anabolic steroids are widely abused by teenagers and athletes of all levels. They can be taken through tablets or capsules, injected directly into the bloodstream, ointments or skin patches and oral preparations. Those who abuse steroids and use them for non-medical purposes have a higher risk of developing short-term and long-term health consequences, such as severe acne, stunted growth, aggression, high blood pressure, liver cysts and cancer and much more. Muscle Relaxers: Muscle relaxers are prescribed to treat acute muscle problems and chronic pain that cause painful muscle spasms. They can also be administered to treat pain from fibromyalgia, spinal cord injuries, multiple sclerosis and cerebral palsy. Baclofen, Tizanidine and Zanaflex are commonly prescribed to reduce spasticity at the level of the spinal cord, and certain benzodiazepines, like Valium, may be used to relieve muscle spasms. Muscle relaxers work by reducing muscle tone and relaxing tenseness, while others affect skeletal muscle fibers and nerves. Muscle relaxers offer temporary pain relief, but do not heal the problem. Much like other painkillers, muscle relaxers can be addictive because they offer pain relief, pleasure and a euphoric calmness. Those who abuse muscle relaxers may take more than the prescribed amount and mix it with other medications or alcohol to enhance their high. Fentanyl: Fentanyl is a powerful synthetic opioid that has the same painkilling benefits of most opioids, but is more potent than morphine. In a class of its own, fentanyl (Actiq, Duragesic, and Sublimaze) is generally prescribed to patients with chronic, severe pain and can be given to cancer patients. Due to its strong analgesic benefits, fentanyl is also a commonly abused drug. Like other opioids, fentanyl binds to the brain’s opiate receptors and work by blocking the perception of pain. As dopamine levels in the brain increase, users feel a sense of euphoria and calmness. People who abuse fentanyl will often mix the prescription drug with heroin, cocaine or other illegal drugs to amplify their high. Fentanyl abuse and addiction is accompanied by several short-term and long-term health consequences, such as respiratory depression and arrest, nausea, confusion, sedation, unconsciousness and coma.